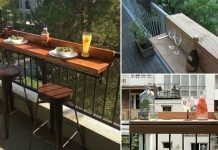 These ‘Vertical Balcony Garden Ideas’ will inspire you to generate space and how to make balcony vertical garden. 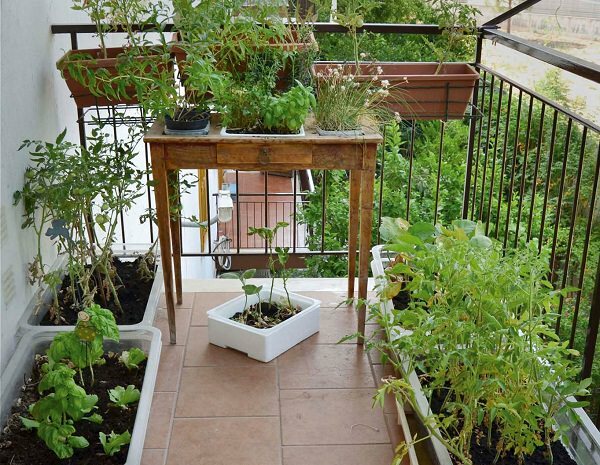 You have a small balcony or a terrace and you want to grow a garden there? Well, if you arrange everything neatly and use every inch of your space then you will be able to do this really. 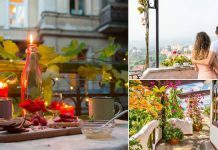 One thing you need to remember is balcony gardening is not about putting some pots and grow plants. It is about how aptly you manage space. Using vertical space is part of it. 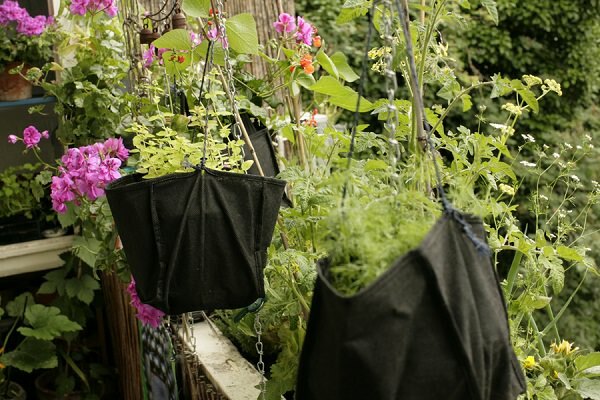 These two grow bags are strong enough to bear the weight of herbs growing in the containers kept inside them, this is a good idea if you don’t have hanging baskets. These clay pots are arranged one above each other using threaded steel and fasteners. 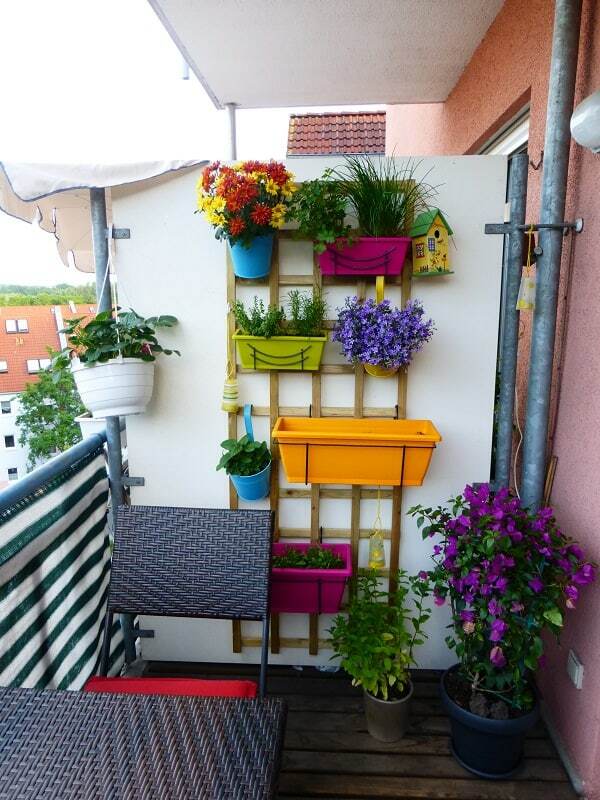 Use racks to keep pots, this way you can use lot of vertical space of your balcony. 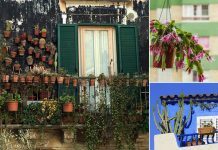 Fuchsia growing on a hanging basket is looking beautiful and a wooden planter is tied on railing is a smart way to use outside space. Table garden is used to grow plants, two main benefit of table garden is that if you have a back problem then you don’t need to get down and up. Besides this, it saves space on the floor. 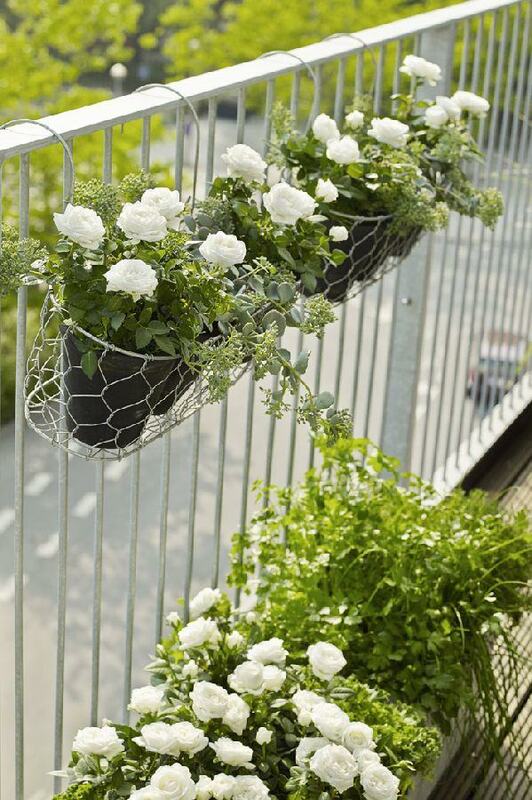 Hang lot of planters on the railings of your balcony garden, this is an apt way to generate lot of space. Wooden pallets can be used to do multiple things. 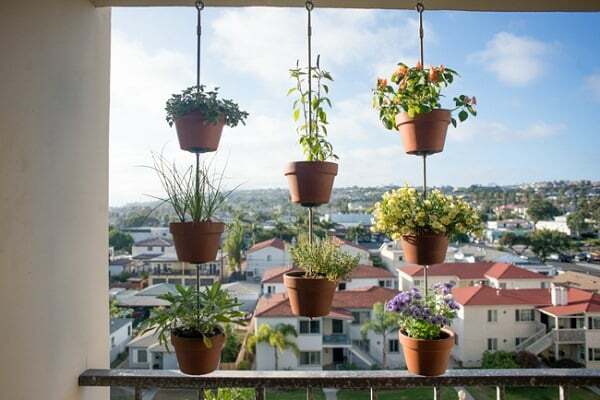 You can hang pots on them and grow plants in its narrow space. Read more on DIY pallets ideas. You can also arrange pots one above each other as you see in the picture. 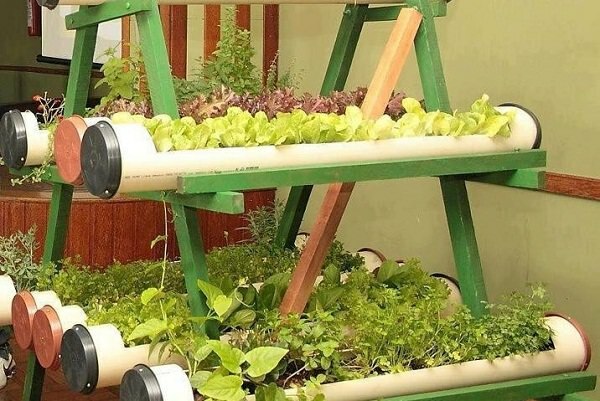 Use PVC pipes to grow plants, this is called gutter gardening. Here’s one tutorial on how to grow strawberries in gutters. And here comes a burning one. If you have ammo cans use your creativity to make them vertical planter. Before trying this, make sure to clean up the canes properly. OK! 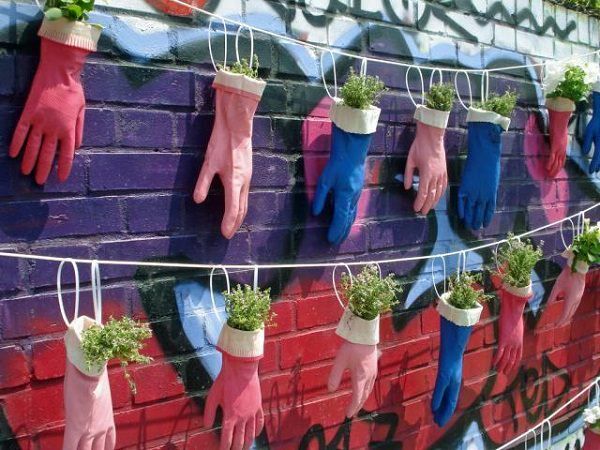 It’s a bit cheeky idea, herbs growing inside the gloves. If you have some odd ideas, try them. 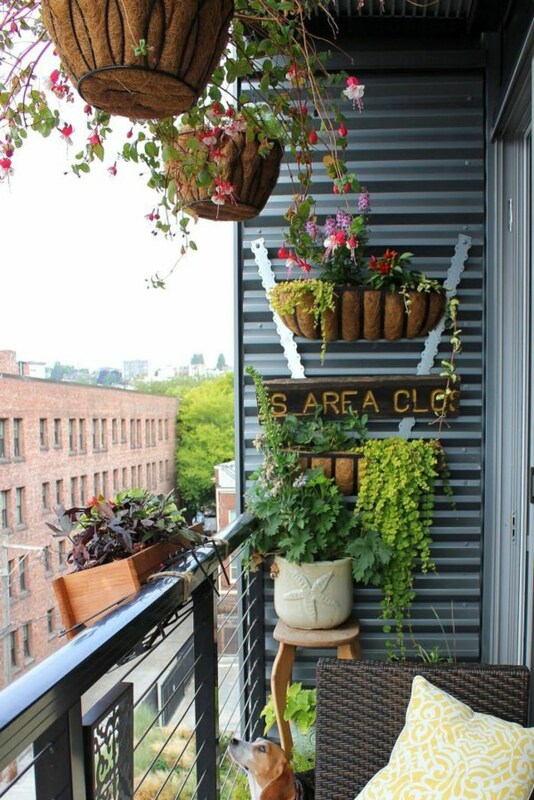 Use plant walls if you want to optimize space of your balcony or terrace. 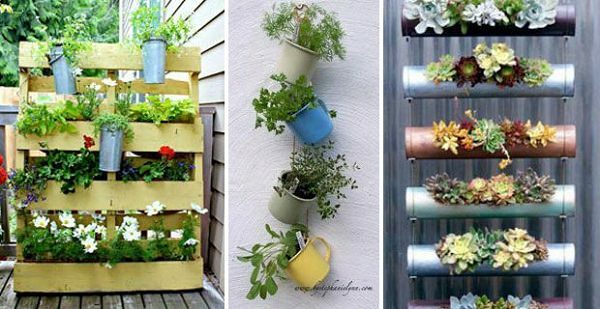 You’ll be stunned after you install one, these plant walls are useful innovation for small gardens. This is one cheap solution you should look at. Planters are hanged on this wooden bracket mounted on the wall. 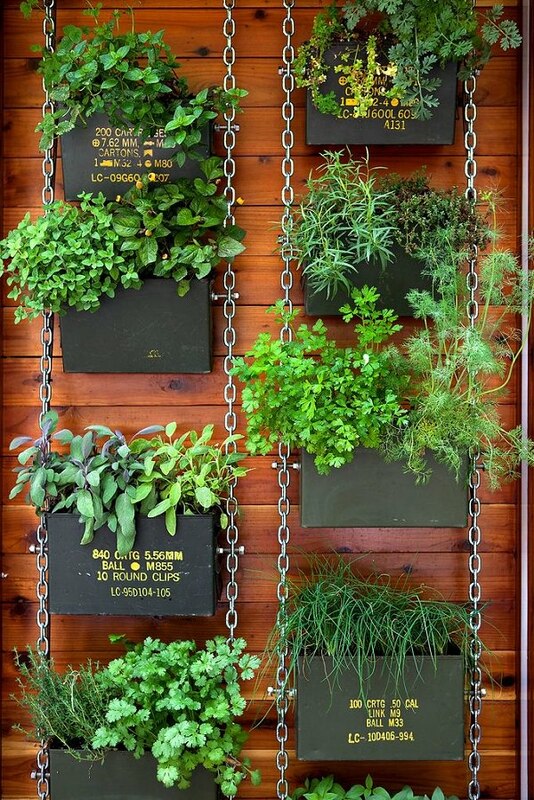 Grow herbs and green leafy vegetables on these gutters, this is a modern way to create lot of space. 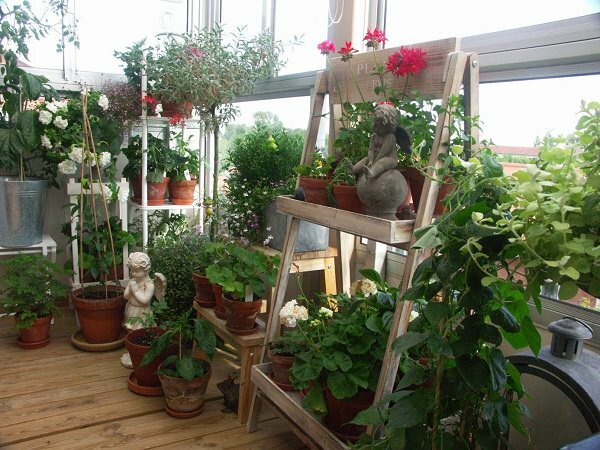 Use any of these ideas in your balcony garden if you want to optimize space, you’ll be surprised how much growing space you can add.